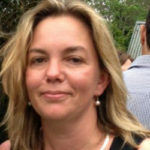 Stephanie Gotlib is the CEO of Children and Young People with Disability Australia (CYDA). Stephanie Gotlib, Monday, 21st May 2018 - Unfortunately, bullying of students with disability, including abuse and violence at school is not a new, unusual or unknown experience, writes Children and Young People with Disability Australia CEO Stephanie Gotlib. Disability and Budget 2017 – What’s Missing? Stephanie Gotlib, Wednesday, 10th May 2017 - The federal budget makes some welcome funding inclusions affecting people with disability but what’s missing is education reform for students with disability, writes advocate Stephanie Gotlib.